Signature Homes provides a complete custom design service to all of its clients using state-of-the-art technology. Signature Homes provides complete custom designs that can be emailed to your office or home. With over 100 years of combined custom home building experience the team members at Signature Homes will develop, design and create your new home masterpiece from start to finish. Signature Homes offers this service to it's new home construction clients at no cost if they choose Signature Homes as the builder. Just another added benefit of choosing Signature Homes! 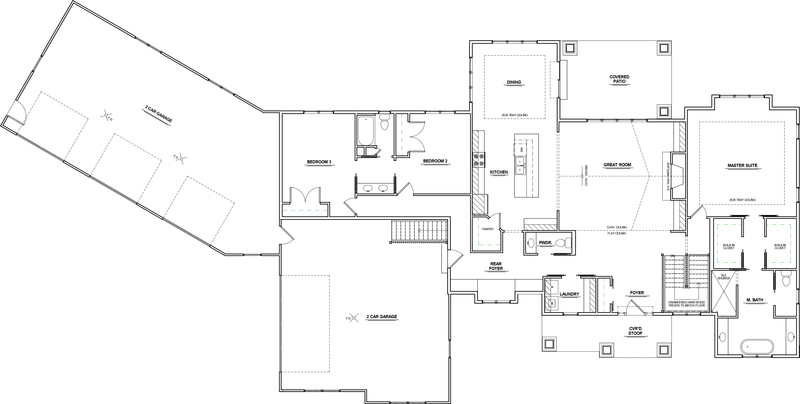 Home builders have long relied on sketches, blueprints and floor plans to showcase their designs to buyers. These plans were only two dimensional and it was hard for customers to imagine what their new home would look like in reality. Now, with the use of Revit, Signature Homes can give their customers computer visualization technology to bring the “paper plans” to life. It produces a realistic three-dimensional model of the home design. This program gives a customer the ability to look at their home plan in 3D on a large screen and view windows, door openings, the homes over view and so much more. Adding exterior colors will give an idea of the finished product. Maybe you want to enlarge the windows on the front of the home, add brick or change from brick to stone on the front columns. Revit's Realistic visuals helps make changes to your final design before the building begins.